Piedāvājam iegādāties Philips 27" monitoru ar WQHD 2560x1440 izšķirtspēju. Papildus informācija ražotāja mājas lapā Philips 272B8QJEB/00, 27"
The 10-bit display provides rich depth thanks to 1.074 billion colors and 12-bit processing that allows you to reproduce the fullness of natural colors without visible gradation and problems with unnatural color presentation. IPS monitors use advanced technology that provides a very wide viewing angle of 178/178 degrees, allowing you to view the image at almost any angle even in 90-degree rotation mode. Unlike standard TN panels, IPS monitors offer extremely vivid images and vivid colors. As a result, they are ideal not only for displaying photos and videos or browsing the Internet, but also are great for professional applications that require accurate color rendering and constant brightness at all times. Studies have shown that, like ultraviolet rays can damage the eyesight, so short blue rays emitted by LED displays can also have a negative impact on eyes and over time contribute to the deterioration of vision. Developed by Philips specifically for the health and well-being of the user, the LowBlue mode reduces the emission of harmful blue radiation through the use of intelligent software. Due to the way of controlling the brightness in screens with LED backlighting some users notice flickering on their screens, which causes eye strain. Flicker-free technology from Philips uses a new solution to adjust brightness and reduce flicker, thus providing more convenience when watching. The SmartErgoBase base allows ergonomic use of the monitor and organizing the cables. The ability to adjust the height, angle of rotation and inclination of the base ensures comfort during work throughout the day and muscle tension. The system for organizing wires reduces clutter on the desk and helps maintain order. The latest Philips monitors display crystal clear images in Quad HD 2560 x 1440 or 2560 x 1080 pixels. A high-quality matrix with high pixel density as well as support for high-bandwidth connection standards such as DisplayPort, HDMI and DVI Dual Link allow you to breathe life into every image and every graphic. This is the perfect choice for demanding designers working with CAD/CAM software, graphics using 3D applications or financiers using large spreadsheets on a daily basis. The display is equipped with two built-in high-quality stereo speakers. They can be located at the front, bottom, top, back, etc., depending on the model and design of the device. The Super Speed USB 3.0 standard provides data transfer at the level of 5.0 Gb/s, which is 10 times faster than in the case of USB 2.0 standard, significantly shortening the copying and transferring of data, thus saving time and money. Thanks to higher bandwidth, very fast data transfer, better energy management and overall excellent performance, the USB 3.0 standard revolutionizes the electronics industry around the world and allows the use of large capacity storage devices. Sync-N-Go technology ensures faster performance without waiting for bandwidth to be released. Investments made in hardware compliant with the USB 2.0 standard remain safe because the technology is backwards compatible. These Philips monitors are compatible with a wide range of connection standards, including VGA, DisplayPort and HDMI, thanks to which they efficiently support uncompressed audio and video signals in high definition. 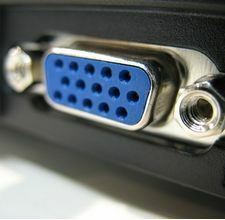 USB connections ensure very fast data transfer and further increase the versatility of the device. Thanks to the support for so many connection standards, the new Philips monitor will serve you for many years!